It’s difficult to believe I’ve been in Oxford for four days now. 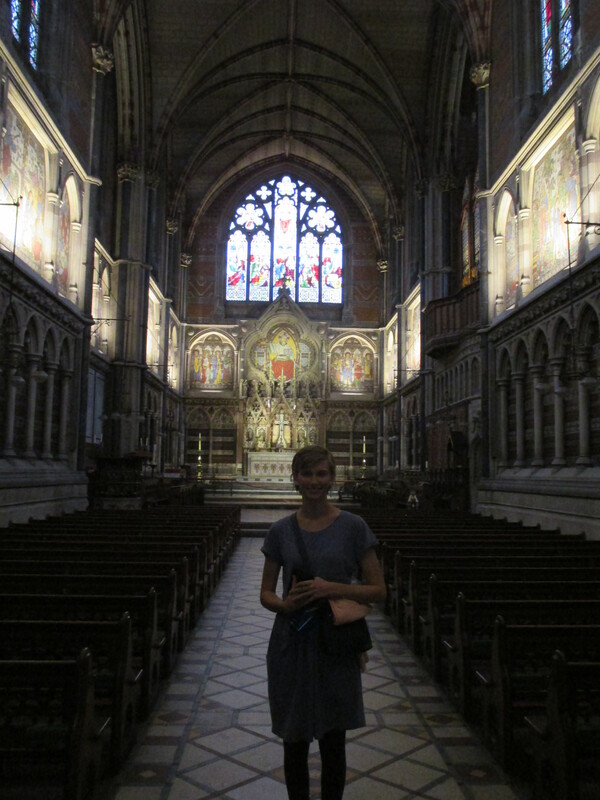 I’m here to study at the Centre for Medieval and Renaissance Studies (CMRS), a program in association with Keble College. 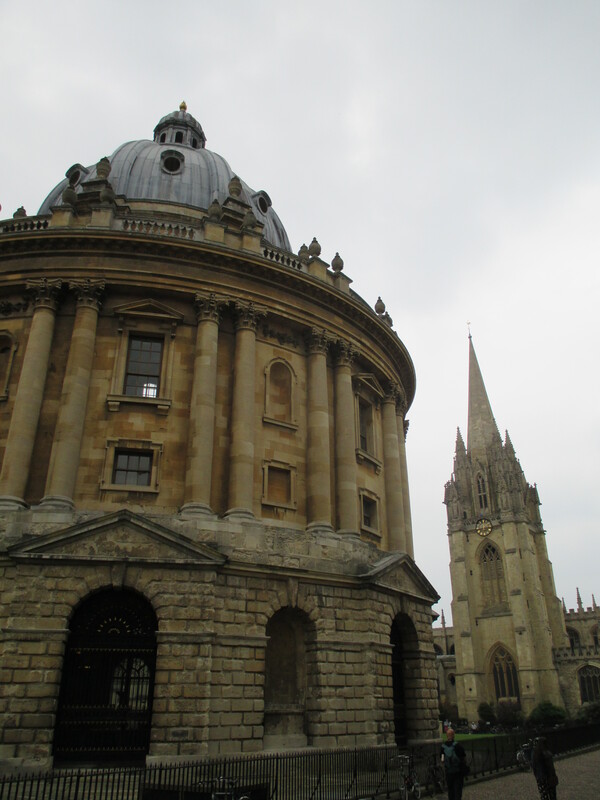 The program is housed in St. Michael’s Hall, a cobbled-together building which runs between Shoe Lane and Queens Street in the centre of Oxford. Keble is an eight minute walk north on St. Aldates/Cornmarket/St. Giles, the Thames is six minutes west, and Carfax Square is two minutes southeast. Nearly everything I could want is within a twelve minute walk and the rest is easy to do without; the scenery compenses enough. The Hatch Memorial Shell, long-time location of the BSO’s summer concerts. 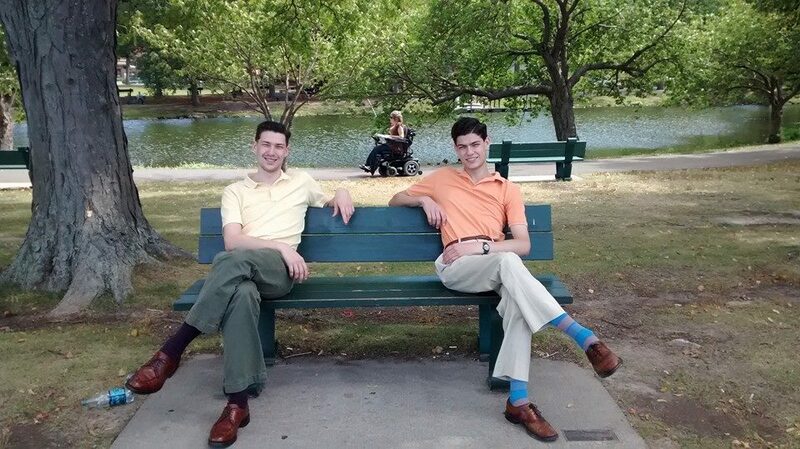 With the academic programme set to begin tomorrow, now is an appropriate time to share some photos and narrate what the last four days have looked like (although to be fair, the journey actually began five days ago with a layover in Boston to visit my brother, Luther, at the New England Conservatory). 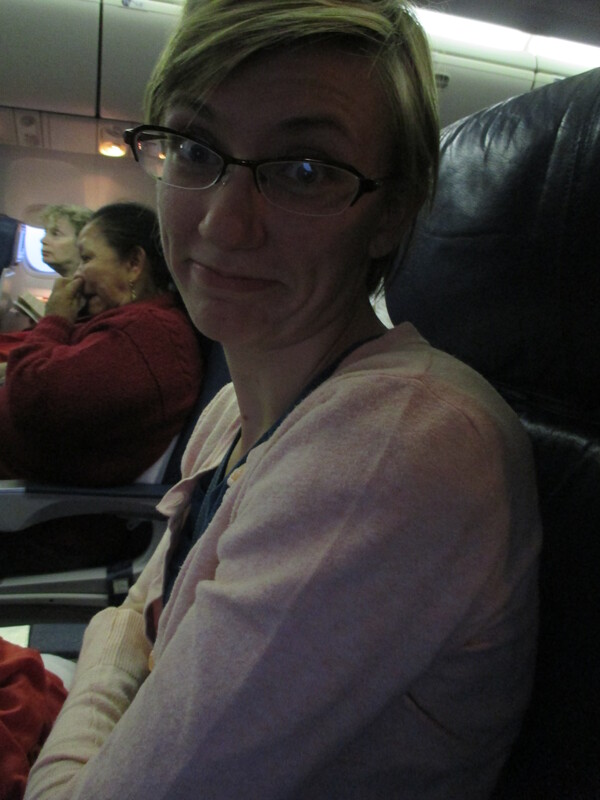 Bekah and I departed Minneapolis at 7:05am. 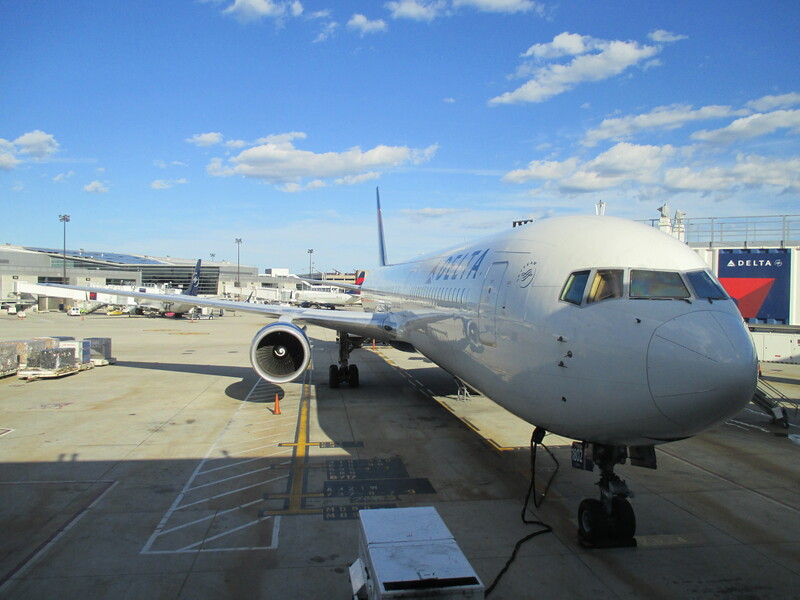 That early flight necessitated a very early morning, which although exhausting, actually eased the jet-lag; I suspect it jolted my body into the correct time zone. Arriving in Boston around eleven, we met Luther at NEC, deposited our bags in his dorm, and allowed him to show us around the city. Among other things we visited the Granary Burying Ground (the resting spot of Revolutionary America figures such as John Hancock, Paul Revere, and Mother Goose), the Boston Commons and Public Garden, and the Charles River Reservation area. 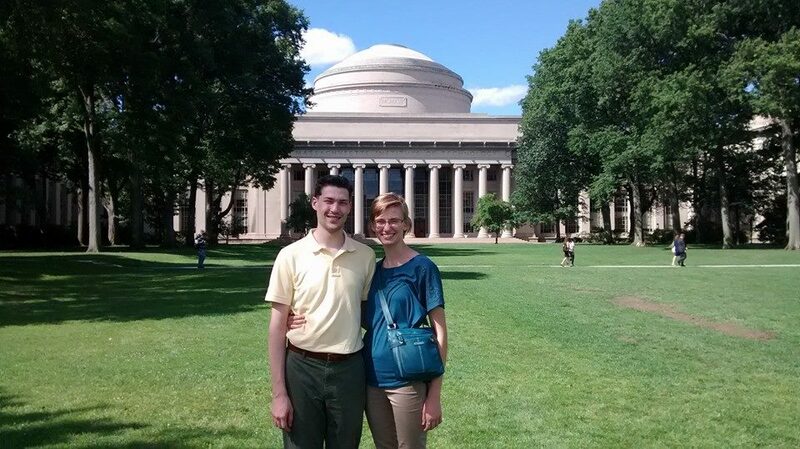 We also crossed the Harvard Bridge and walked a short ways into Cambridge to see the Massachusetts Institute of Technology. 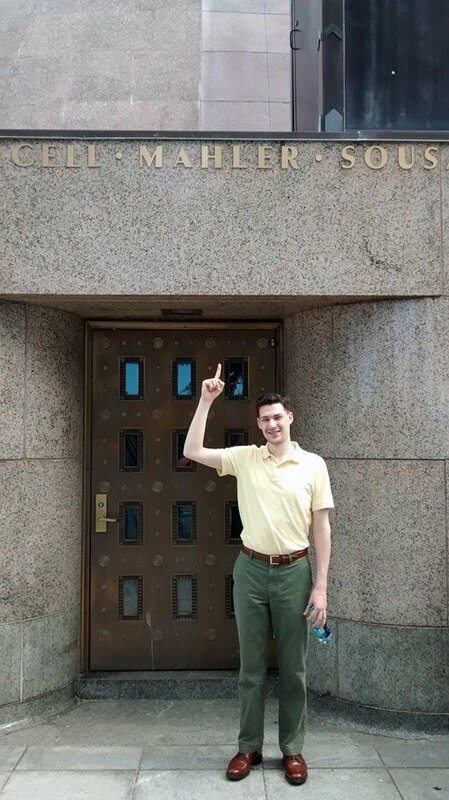 After returning to NEC, we took the subway to a station close to Logan airport and caught a cab back to our connecting flight. After landing at Heathrow at 6:23am local time, clearing customs, and busing to Oxford, we checked into CMRS and unpacked. The rooms are serviceable if old; they do however, have a certain charm to them. As an example, my room is on the (one) side of the building whose water cannot be drunk; it has something to do with a perpetually failing water softener. The rest of the day was spent in a haze of meeting fellow programme-members and walking the city, neither of which was helped by the sleep deprivation. Thankfully, most of us equally inhabited that near-drunken state in which everything is slightly hilarious. Bekah and I finished the day at the Christ Church Meadow, a lovely area near the college. A room adjacent to the Divinity Room. 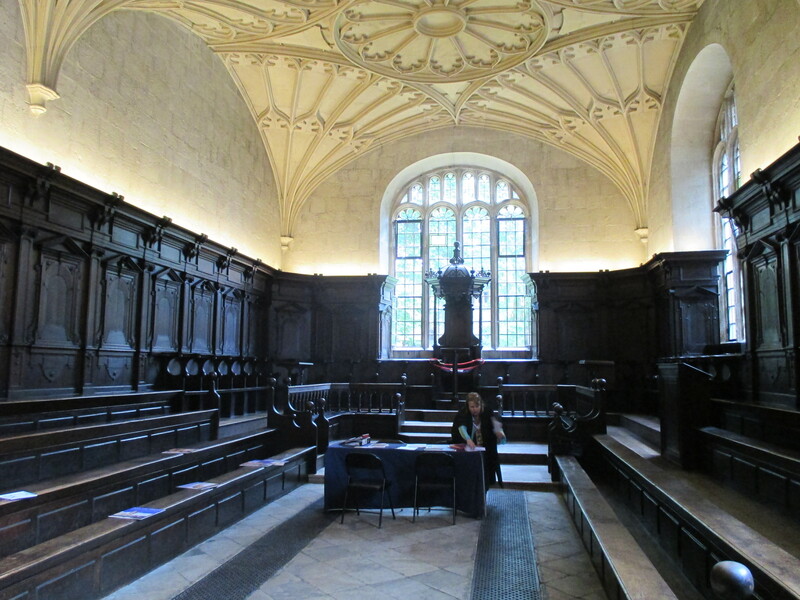 Kings James I and Charles I both hosted their courts in this room when visiting Oxford. A little less than five centuries later, Fletcher and Bekah were admitted as readers to the Bodleian. Although I have studied Latin, one is not permitted to take the oath in that language with anything less than near-perfect fluency. I read in English, although others in the programme did so in Japanese and Shona, their mother languages. The Bodleian takes this oath very seriously. Indeed, each time one swipes into the library, one is reaffirming one’s affirmation of the oath. Unsurprisingly, chewing gum is not allowed; one of the students in the program was made to swallow his gum before the ceremony could proceed. After receiving our ‘Bod cards’ (the key which unlocks virtually all of the University’s services), the group made its way to Keble for a tour. We split into two groups led by different guides; first a current student reading maths who spoke on the contemporary practicalities of life at Keble and second by the programme’s senior tutor, Dr. Bernard Gowers, who spoke on the history of the school. After one guide completed their tour, we switched. Keble was founded out of the Oxford Movement, a mid-late 19th century religious movement which arose largely in reaction to industrialization. 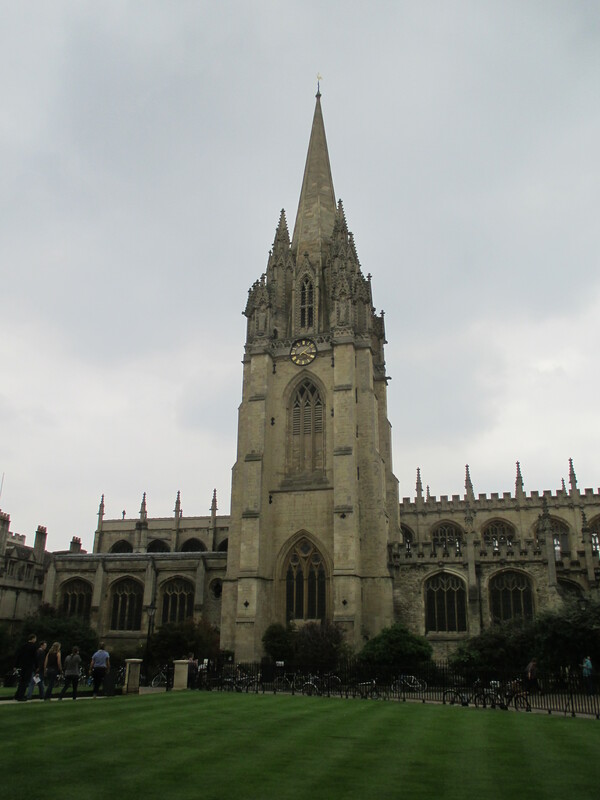 In conjuncture with their efforts to return the Church of England to its Catholic liturgical and ceremonial roots, the Oxford Movement leaders sought to rectify the perceived elitism of the Church’s clergy. 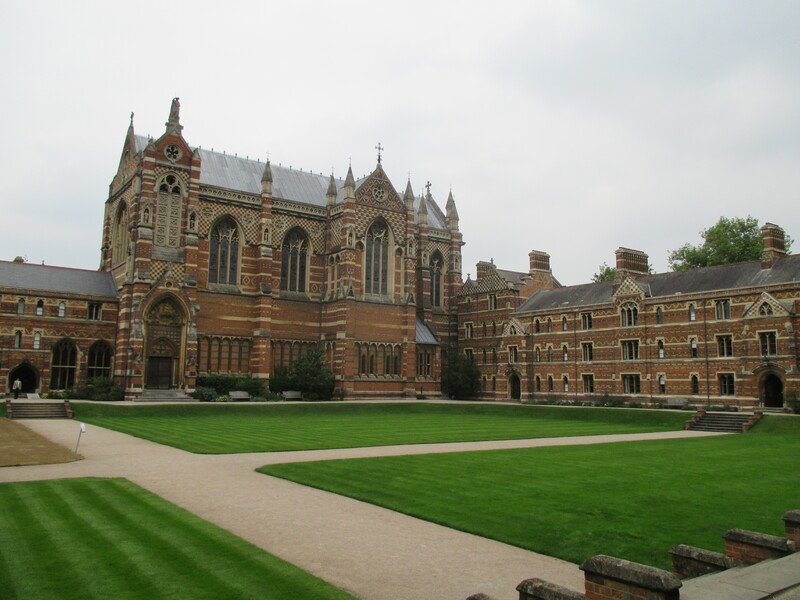 Keble College was founded with an explicit social goal in mind: to broaden educational access for those (specifically men) who did not have the social connections to otherwise attend the Oxbridge schools. The architecture of the school reflects these ideals. 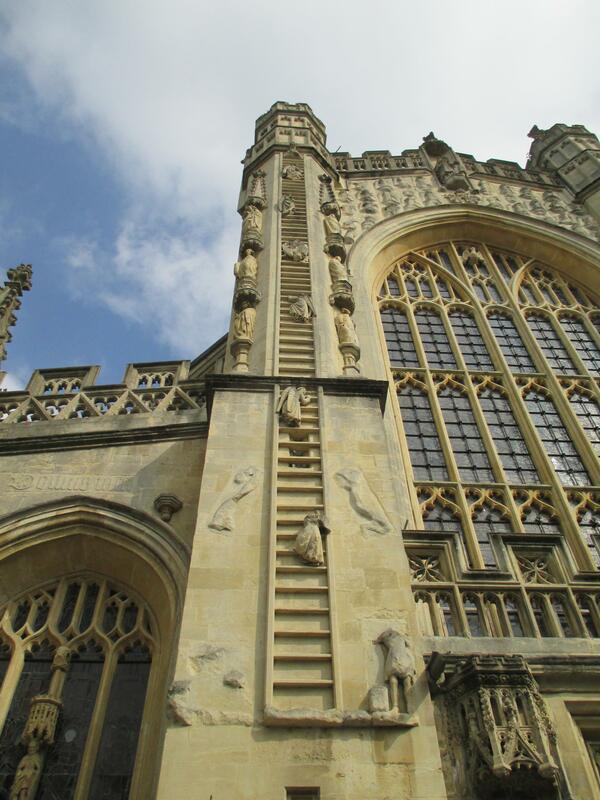 Although built in the latter half of the 19th century, the college is modeled on an explicitly medieval pattern. Its physical layout and ornamentation evoke buildings dating four centuries older than the school was when new. Yet Keble was built in brick, a distinctly 19th century material that evoked working-class imagery. The choice was controversial. The neighboring College of St. Johns hosted a society for the destruction of Keble whose membership was contingent upon the presentation of a brick from the school. The hope was that with enough members, Keble would be literally dismantled, eliminating its ‘ugly’ mark on the landscape. After touring the college, Bekah and I went to the Eagle and Child, a favourite of the Oxford literary group know as the Inklings (among them C.S. Lewis, J.R.R. Tolkien, and Charles Williams). We then walked to the Oxford Canals (picturesque) and the Thames (underwhelming). We were, however, visited by an inquisitive duck. Saturday was a free day which we spent mostly at the Oxford Botanical Gardens. A beautiful space, the gardens are somewhat north of the city centre and feature punting and rugby nearby. Afterwards, we went shopping for sundry items (mostly food and a few household necessities). On Sunday, the program loaded into a bus and traveled to nearby Bath to tour the hot springs. The springs are thought to be about 10,000 years old but the earliest evidence of human use dates to a.d. 76 by which point the Romans had built a temple complex and bath houses. Dedicated to the sycretic goddess Sulis Minerva (the Romans identified the British goddess Sulis with Minerva), the baths were thought to have healing properties. In the 19th century, the area was excavated to reveal the Roman ruins. Today, much of the complex’s foundations are restored, including the flagstone walkways surrounding the bath. After the Baths, the group walked about the city and heard brief lectures on the nearby Bath Abbey (the area was in ecclesial usage from the eight century, the abbey was initially constructed in the eleventh, and rebuilt after the protestant iconoclasm of the sixteenth) and two examples of Georgian architecture by John Wood the Younger. Both evoked a classical heritage and repurposed the area’s Roman past for contemporary spectacle. The academic program begins tomorrow and I suspect I’ll have little time for photos. Enjoy these until later. Great post, oxford sounds amazing! 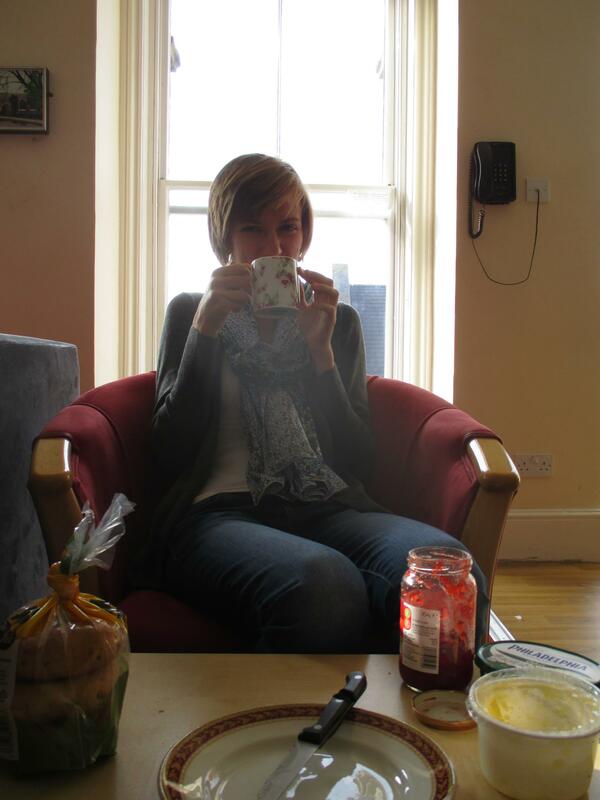 Check out my new travel blog!